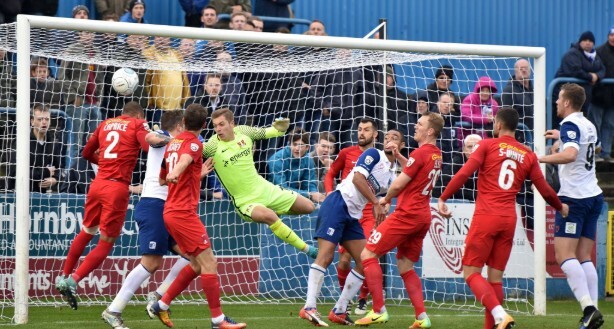 Fifth-tier football fans could soon be creating their own league and cup upsets if a campaign to get the Vanarama National League featured in FIFA 20 is successful. A home game at Leyton Orient. ‘It’s in the game’ has long been the calling card of sports video game developer, EA Sports. However, for the tens of thousands of National League fans each new version of the game, now in its 27th instalment, has brought disappointment. But a new campaign being driven by title sponsors Vanarama, supported by the National League and a number of clubs, plus former FA chairman David Bernstein, hopes to change all that. Alpaca Communications is running PR on the campaign. The campaign has already had thousands of engagements on Twitter with flans pledging their support and sharing their fantasy fixtures. While a petition, which will be submitted to EA by the end of the current football season, has gathered nearly 8,000 signatures. As part of the campaign, Vanarama has mocked up a FIFA box featuring National League stars on the front cover, including Jamie Collins, the captain of Sutton United, and Alfie Rutherford, Havant and Waterlooville’s top goalscorer. Support for the Vanarama National League has been bigger than ever with an average total attendance of 46,811 across the league each week, and select games shown live on BT Sport. A successful campaign to get the Vanarama National League ‘in the game’ could see fans recreating upsets on the scale of Exeter City’s draw at Old Trafford during the 2005 FA Cup. Andy Alderson, CEO and Co-Founder at Vanarama, said: "We love being involved in non-league football. Its proper football, with proper fans. The Vanarama National League is growing year on year and deserves to be recognised in FIFA 20. EA Sports need to stand up and take note and give the best fans in world football what they want. If it’s in the game, it’s in the game – come on EA, live by your mantra!". Former FA Chairman David Bernstein said that a successful campaign would make a real commercial difference to the finances of non-league football clubs, as well as putting a smile on the faces of fans. "There’s no other league quite like the National League. We support Vanarama with its endeavours and think it’d be great if every National League fan had the opportunity to help their club qualify for the Champions League, even if it’s just in the game," added CEO at The National League, Michael Tattersall.